My dog, Trouble, is a 4 year old Yorkie who certainly lives up to her name. You see, while most canines do dog-like things, my pup seems to think she's either a person or a cat. There's really no in-between with her, and she certainly never really acts much like a dog. She lays around and sleeps, tries to go into our litter boxes, and she even tries to steal the cats' food when I'm not looking. When she's not exhibiting kitty-like behavior, she is trying to steal my veggies or bottles of water. The fresh clean water in her bowl isn't good enough, so she wants her Mommy's bottles instead. She's such a silly pup at times! So yes, Trouble can definitely be...well...trouble! We love her anyway, of course, and she's a very valued member of our family. We want what's best for our dog, so we know that cat food simply won't do. Cats and dogs have different nutritional needs, so we've been hunting for a dog food that even my very picky dog will eat. Usually, Trouble either turns her nose up at dog food, or she will eat it when she's super-hungry and I put the cat food out of her reach. On the rare occasion, I find dog food that she will happily devour. Those, however, are few and far between, and they don't always contain the quality ingredients I prefer to feed my pet. Did you know dogs need the proper balance of protein, carbohydrates, and fats to thrive? It's true! Most of a dog's caloric intake should come from animal-based proteins, not from grains or soy. That's why I was really excited when I learned about the brand new, high-quality dog food from Weruva®. This food is new to the scene, and is made with the wellness of your pups in mind. 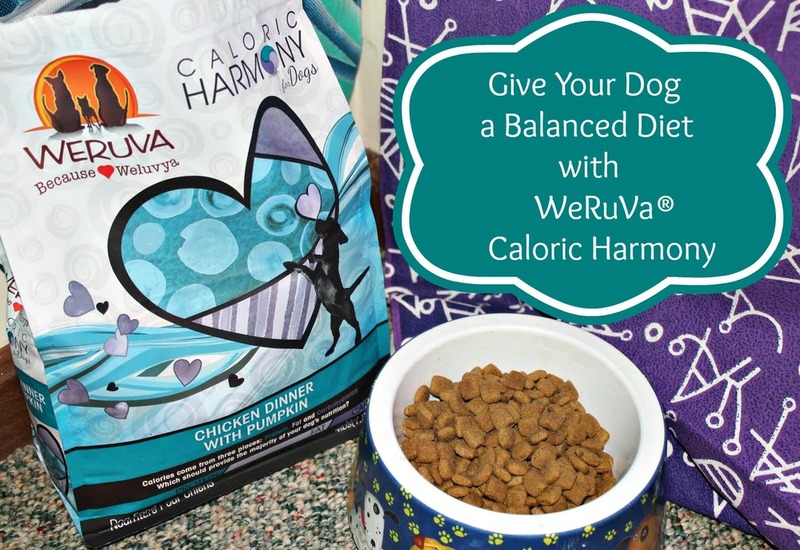 Weruva® offers 2 different formulations of dog food: Caloric Harmony and Caloric Melody. Both of these kibbles are low-carb, and are made with only the finest natural ingredients, such as chicken, lamb, salmon, venison, and more. These foods are rich in things your dog needs, like salmon oil, linoleic acid, zinc, and B vitamins. This winning combination of ingredients helps your dog maintain a healthy coat and skin, too! What's the difference between Caloric Harmony and Caloric Melody? Caloric Harmony offers 80% animal-based protein, while Caloric Melody offers 70% animal-based protein at a bit lower cost. The generous folks at Weruva® sent us a bag of their Caloric Harmony Chicken Dinner with Pumpkin to check out for ourselves. I was immediately impressed with the ingredients, especially the addition of pumpkin. Dogs LOVE the stuff, and it's actually great for their digestive systems. Now Trouble seemed a bit confused by this food at first. It doesn't look like the cat food she's so used to sneaking....It doesn't smell like cat food, either. In fact, according to her reaction, it must smell a whole lot better to her! Score #1 for Weruva®. It's passed the sniff-test! Hey. This is a pretty big deal. Trouble is a picky little thing, after all! Now for the important part....Will she eat Weruva® Caloric Harmony Chicken Dinner with Pumpkin? After sniffing and whiffing and sniffing some more, Trouble took the plunge and dug into her brand new food. No, scratch that. 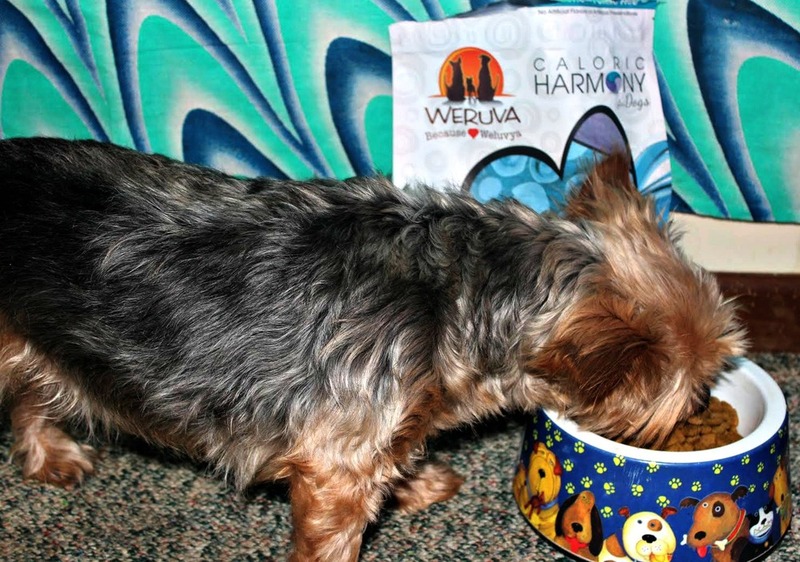 Trouble HAPPILY devoured her Weruva® Caloric Harmony! I have to admit, I am very pleasantly surprised. Like I mentioned before, Trouble definitely lives up to her name, so the fact that my spoiled little diva gobbled up food that was actually made for dogs rather than humans or cats is saying a lot! 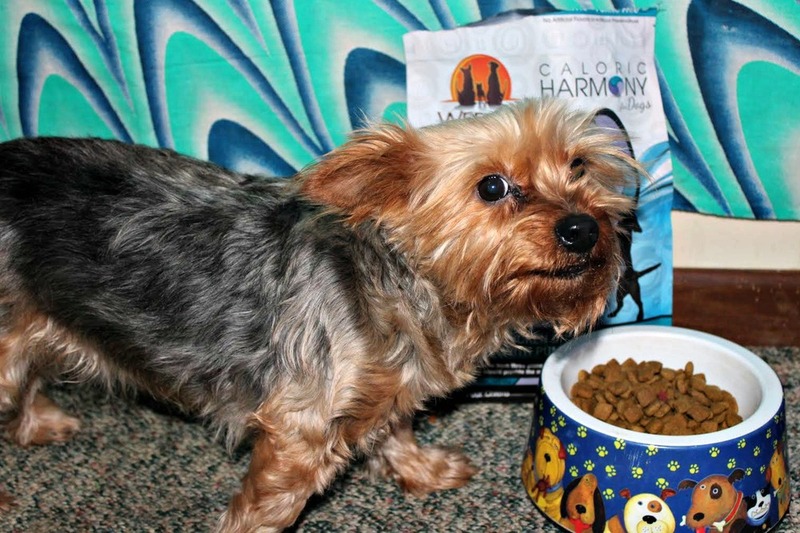 Obviously, Weruva® Caloric Harmony is a winner with Trouble, the pickiest Yorkie on the planet. It's a winner with me, too! This food is incredibly well-balanced, and full of only the best, natural ingredients. By choosing Weruva®, I always know that my dog is getting the proper nutrition to keep her happy and healthy. You can check out Weruva® Caloric Harmony and Caloric Melody on the Weruva® website. 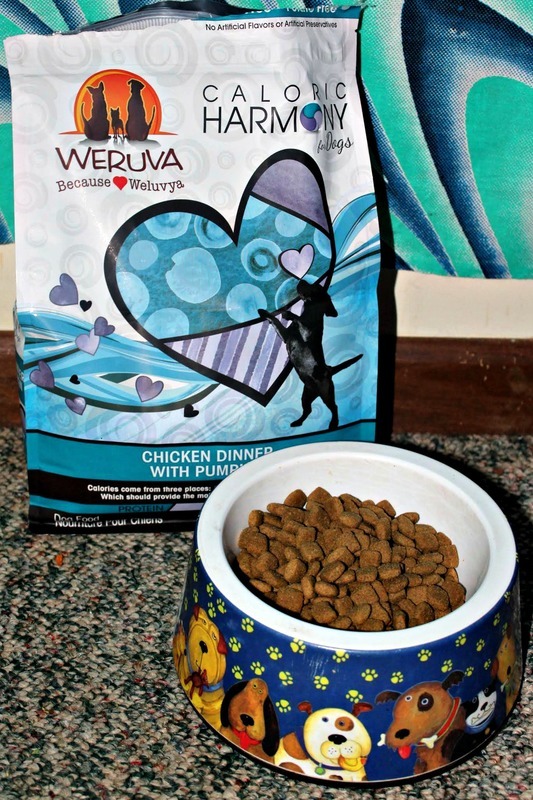 Weruva® pet foods can be purchased at Pet360.com. 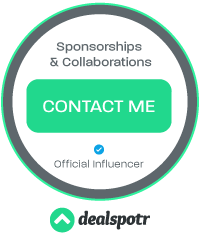 You can also get social with Weruva®! 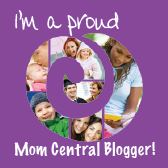 Be sure to check them out and give them some love on Facebook, on twitter, and on Instagram!